Stay tuned for announcements on our upcoming fall 2019 shows! 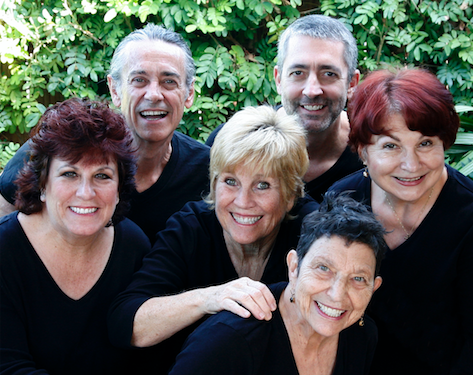 We're a fun-loving improv troupe performing spontaneous, fast-paced, unscripted comedy shows throughout the Coachella Valley. Why? Because we didn’t get enough attention as children. We do short-form improv, also known as theater games, turning audience suggestions into little pieces of comedic gold created on the fly. Our shows are fun, fast, and pretty darn hysterical if we do say so ourselves. You can count on seeing audience favorites mixed with challenging new games that keep us on our toes and keep you coming back for more. But why wait til the next show? Check out some footage from our performances right here on our site. We’ve even thrown in a few choice snippets from our rehearsals for a peek behind the scenes. And if you really want to get all up in our business, click on Meet the Players, where you can get to know each of us on a more…(ahem)…personal level. We hope to see you soon at an Improvables of the Desert show!